When I drove the Chevy Colorado earlier this year, I found it to be an extremely viable alternative to the dominant Tacoma in the mid-sized truck category – a segment Toyota had basically come to own after the Americans vacated it. 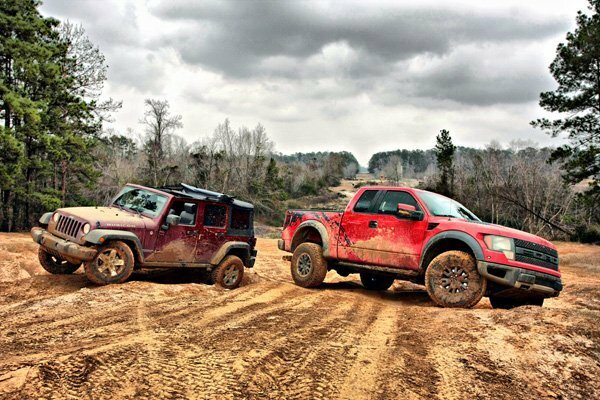 We recently spent time in the Colorado’s GMC-badged twin, the Canyon, and found some surprising differences – despite their nearly identical appearances. Chevy’s new heavy-duty line of Silverado pickups are big beasts of burden. Short of a U-Haul, there’s not a whole lot out there that’s bigger and can still be legally piloted without a CDL. Even compared to the Silverado 1500 Crew Cab, a truck already near and dear to my heart but not exactly “compact” in its own right, the 2500 4×4 pictured here commands attention with another 2,000 pounds of girth, 4.5” of height and 9.5” of length. 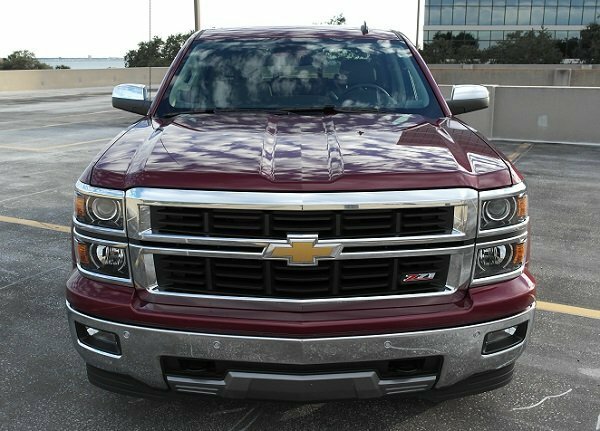 The current truck market is hot – the combined competence of my recent spate of pickup loaners can attest to that. You can also tell from the significant efforts (and development dollars) truck makers have been throwing at these “cash cows” over just the last year. The GM twins, the Chevy version of which you see before you, were brand new for 2014. Ford recently introduced an all-new 2015 F-series at the Detroit show, photos of which can be seen further down our front page. The RAM models received a light freshening, and a six-cylinder diesel was introduced for the light-duty 1500 model – a combination capable of achieving 28 mpg on the highway, a feat considered decent even by small sedan standards not so long ago. The Toyota Tundra, which I sampled a few months ago, also benefited from a significant revamp for 2014, and to take on the stalwart Tacoma ‘tweener, GM is bringing the like-sized Colorado and Canyon twins back from the dead for 2015. It doesn’t take a rocket surgeon to see that the pickup market is back with a vengeance, and there’s plenty of room for manufacturers to line their shareholders’ pockets. Nothing wrong with that. 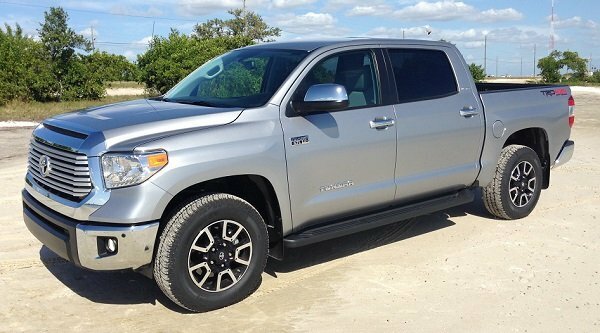 Though it may seem like an also-ran in a segment packed with sales heavy hitters like the Ford F-Series and Chevy Silverado/GMC Sierra, Toyota still moves plenty of metal with the Tundra – about 10,000 units a month, in fact. Mazda sold about as many smiley-face 3s this year, and I see plenty of those rolling around. With a fresh redesign under their belts, Toyota corporate is probably hoping those numbers improve towards the second generation’s peak in 2007 of almost 200,000 (Toyota would like to call this revised 2014 model a new generation, but I’m sticking to my guns in calling it a 2nd-gen, given it’s mostly a fascia-and-interior reskinning). Baffling as it is in a country where $4.00 per gallon gasoline is the norm, pickup trucks are increasingly called upon to serve double duty as both mobile workstations or tow rigs, and family haulers. 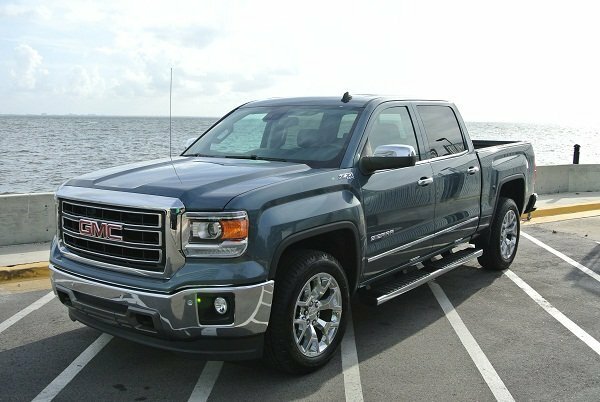 Look no further than the rise to prominence of four-door crew cab body styles over the last fifteen-odd years – I’d wager the “crew” that occupies these crew cabs more often consists of a wife and kids than four flannel-clad roughnecks. Even as modern haulers become more and more gadget-laden and luxurious, fuel economy continues to rise. 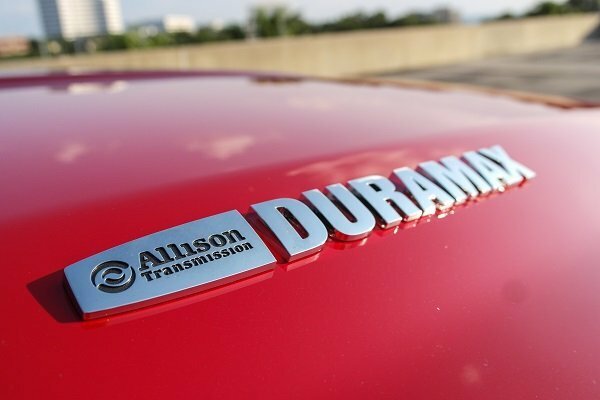 EcoBoost Fords and the high-feature naturally aspirated V6s powering the latest RAM and GM base trucks get fuel efficiency figures that would rival most full-size sedans from just a few years ago.